Hey everyone, today I have a really fun outfit for you. I wore it last week when we went out to dinner. The whole theme was centered around this clutch bag. I’ve had it for a while but had yet to wear it. 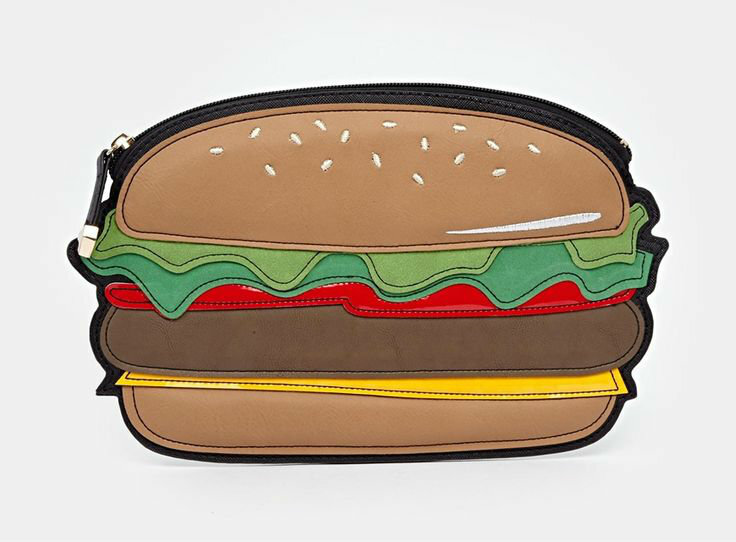 It’s the New Look burger clutch (in my mind, mine is a bean burger fyi). The clutch is really interesting with a lot of fun details and different fabrics, I’d say it is pretty good quality but it doesn’t hold that much. Usually I can fit my phone (without its phone case though), a few cards/IDs, some money (no wallet though, my wallet is huuuuge) and tissue papers (one of the most important items in my bag!) and then my keys and that’s about it. So like I said, not much. 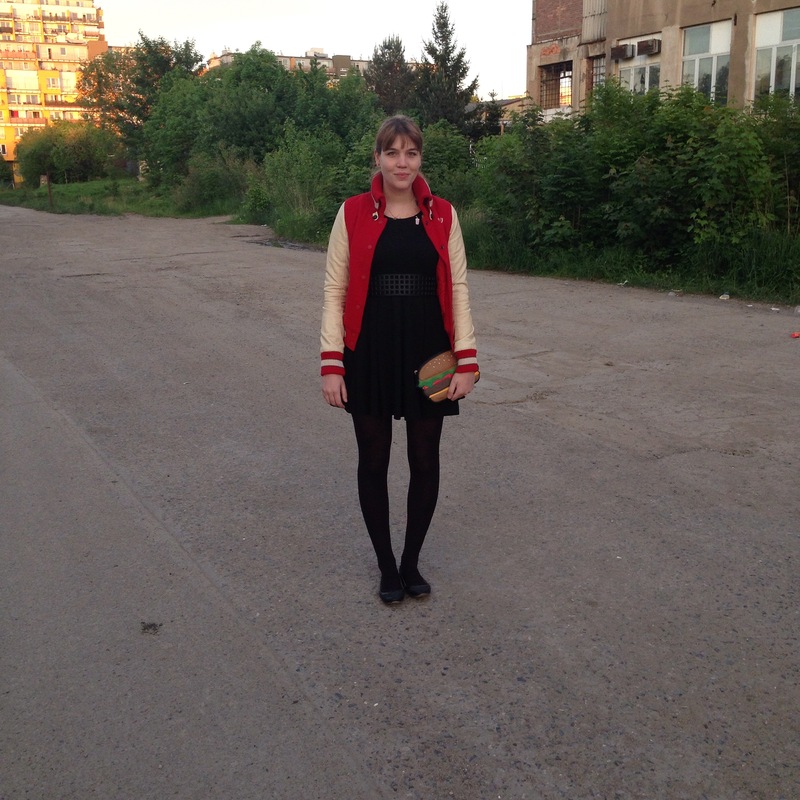 I wore the same H&M little black dress that I wore in this outfit (H&M Black quarter sleeve fit and flare dress), but where I styled it in an edgier way last time, this time I was going for a preppier look, thanks to my Bershka varsity jacket. It’s a few years old (2011?) so I couldn’t find the product image anywhere. My shoes are one of my favorite pairs and they are from Zara. I love these shoes! They are starting to look a bit worn though. 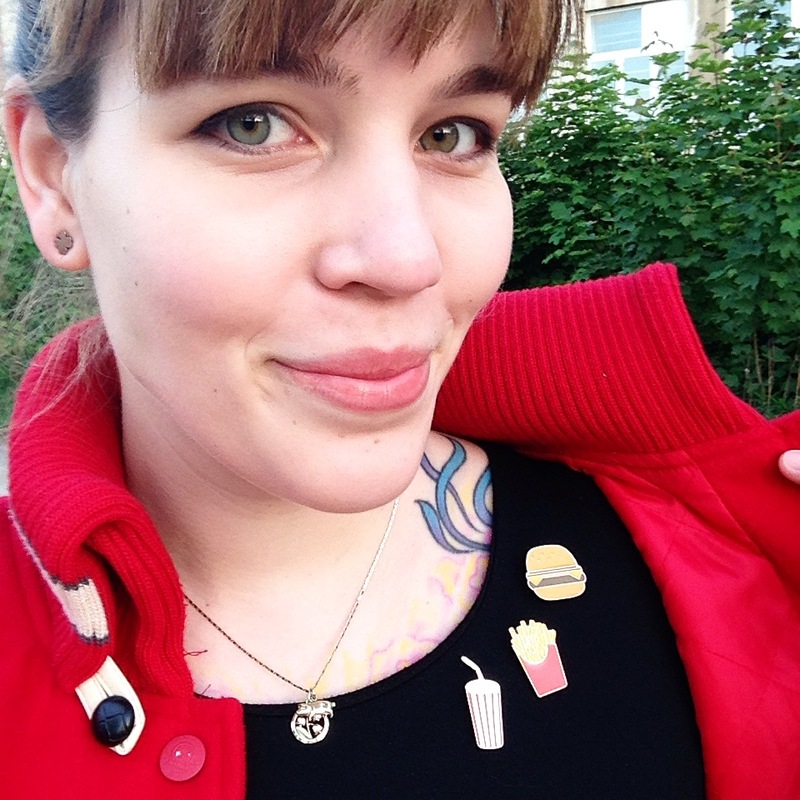 One of my favorite aspects of this outfit are the fun fast food pin badges from Asos that I added to liven up the dress. I wore tiny four leaf clover earrings from H&M and my necklace that I wear all the time. The lily charm I have had since I was born, the necklace was a gift from M (after my old necklace broke) and the pig charm was also a gift from M and it’s from our trip to Vienna in December, after Dracul passed away, to remember him by. Anyways, the last bit is this belt from New Look. 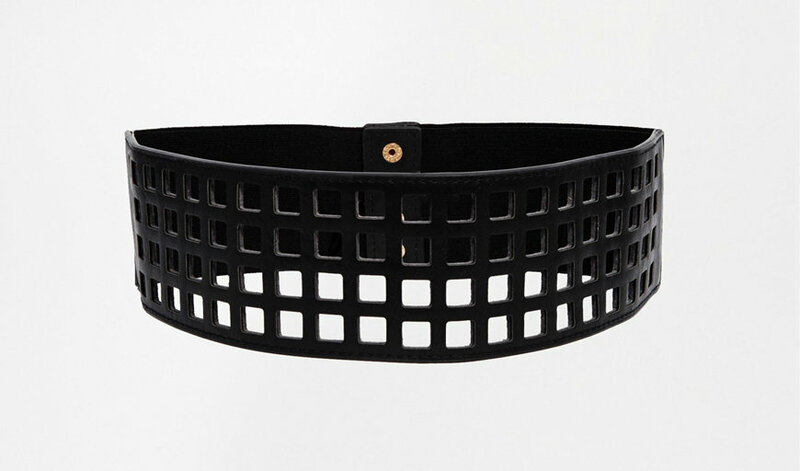 It’s a cut-out grid belt and it is definitely a favorite! Love this outfit! The jacket is awesome and of course I’m in loooove with the bag. I’m glad to see you wearing your tights! Here in Sydney, we have a cold autumn and I wear black tights all the time; they are warm and they shape our legs too! :)) Here we have a not so warm summer so tights are necessary almost all of the time! There are only a few rare days that are really warm. 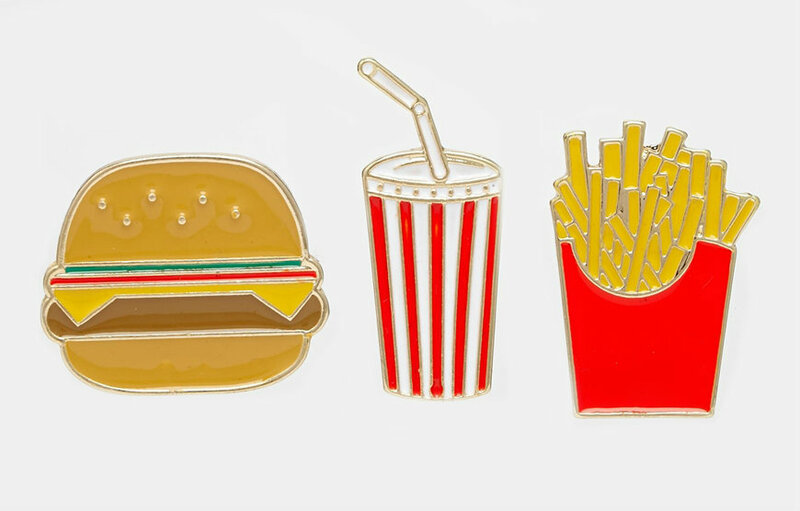 I love this kitsch look!